The Spar Hitch is a great knot for tying fenders to a lifeline. It is very secure and will hold around small and slick objects. The load can be at different angles. The Spar Hitch is also know as Ground Line Hitch, Picket Line Hitch and is the same basic construction as the Sack Knot. The knot dates back to the days of the Calvary and the horses needed to be tied to a line at night and it was also used to tie the neck of a sack closed. The Spar Hitch can be tied right or left handed or “slippery.” The Spar Hitch looks similar to a Clove Hitch but holds much better. 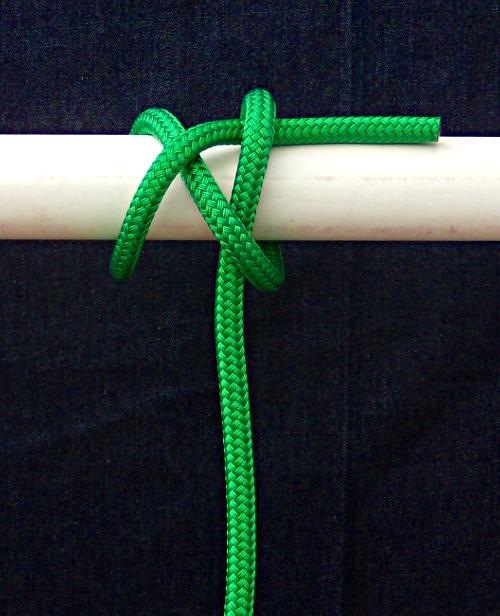 Start tying the Spar Hitch like a Clove Hitch. Loop the line around the object and cross over the standing part of the line. You can go either right of left, but once the line cross over the standing part the bitter end needs to stay on the same side. 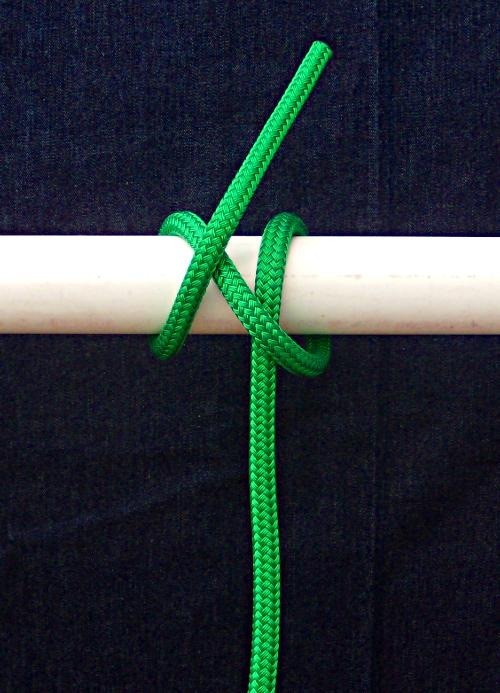 When coming around like a Clove Hitch go over the crossing part of the line. After going over the crossing duck under the line that goes to the working end or load. The Hitch can be made slippery by slipping a bight (loop) under the line going to the load and then the Spar Hitch can be untied quickly. Snug the Hitch down. The bitter end is trapped by the line going to the load. The harder the load pulls the more secure the Hitch holds. 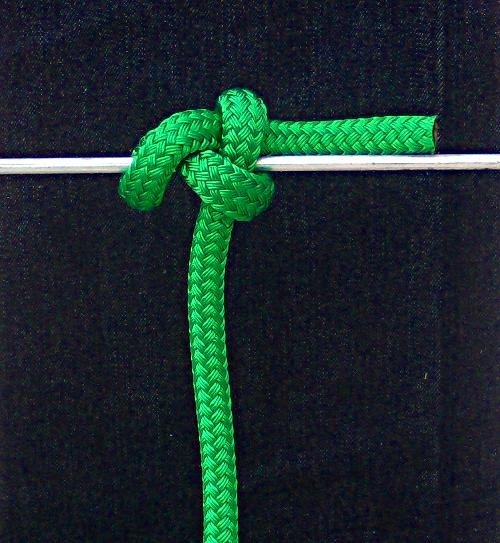 Spar Hitch – Fender Knot – tied around a quarter inch diameter rod. 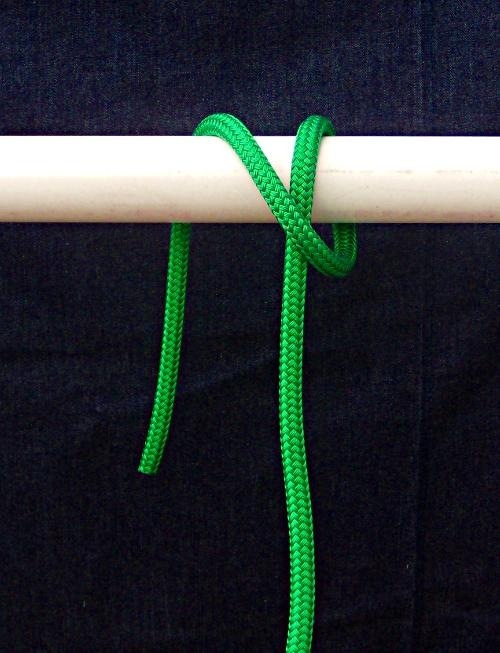 A half inch line can be tied around a quarter inch diameter rod or lifeline. I hope you find the Spar Hitch useful on your boat. The Spar Hitch is quick to tie and more secure than the more commonly used Clove Hitch. Thanks for your interest in boating safety. 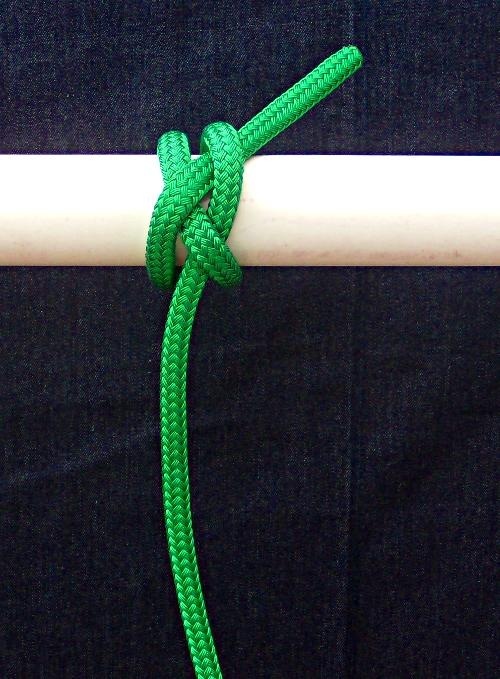 You might also find Lee’s Fender Knot to be a useful knot. An improved Fender Whip – Part 1 to tie a fender to your boat that holds knots much better than a standard Fender Whip for fenders with a hole through the center. An improved Fender Whip – Part 2 to tie a fender to your boat that holds knots much better than a standard Fender Whip for fenders with an eye in the end. Much niceer than the clove hitch and some half-hitches for fender hanging. It just got added to my seamanship class. Thanks! What a great knot. We’ve been tying our fenders to our stainless steel rail with a rolling hitch, which is a clove hitch with an extra turn to increase friction. We’re going out for three days this week and we’ll try the spar hitch, slippery version. It looks like a winner. Very nice, easy to follow (and correctly worded) instructions! Thanks – I usually review the instructions several times over a few days to help make sure I have not made an error and the instructions are clear. Great knot Captain and I have become a Key fob junkie thanks to your excellent instructional.can you recommend something for a Bell pull ?